2010 brings a new and improved Homebuyer Tax Credit. Those buyers who missed out on the 2009 credit, can still claim up to $8000. And with 30-year mortgages still in the 5% range and sales prices in Salt Lake City down as much as 15% from their 2007 peak, what more could a qualified buyer ask for? Both first-time and current homebuyers are now eligible. As with the 2009 tax credit, first-time buyers or buyers who haven’t owned a home during the 3 years prior to purchase are eligible. The maximum credit is $8000 or 10% of the sales price, whichever is less. The 2010 credit has been expanded to include existing homeowners, whether they want to move up, down or sideways. The current home must have been owned and occupied for five consecutive years during the last eight. The existing home doesn’t have to be sold, but the buyer must occupy the new home as a principal residence for three years or risk having to repay the credit. For current homebuyers the maximum credit is $6500 or 10% of the sale price. Income limits have been expanded with the 2010 credit. Single buyers with an income of up to $125,000 are eligible for the full credit. The amount decreases for buyers who earn between $125,00 and $145,000. Married couples who earn up to $225,000 qualify for the maximum with the amount decreasing for incomes between $225,000 and $245,000. Prospective homebuyers should know there is a deadline. The purchase contract must be in effect by April 30, 2010 and the transaction must close by July 1. Four months may seem like a generous amount of time to get a home under contract. But most purchase contracts are subject to appraisal, financing and inspection contingencies. The buyer who gets a home under contract by April 30 and then backs out a week later due to a pesky contingency, such as a low appraisal value or an inspection issue, won’t be able to take advantage of the credit with another property. It’s not to early to start shopping. 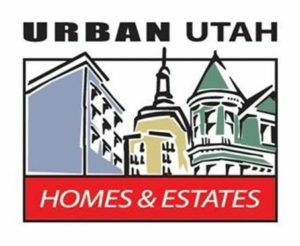 Salt Lake is a buyers market. There are 6700 homes under $800,000 available; 2850 of them are priced under $200,000. Sellers are anxious. Time is wasting. Copyright © 2019 Dog Friendly Agent.